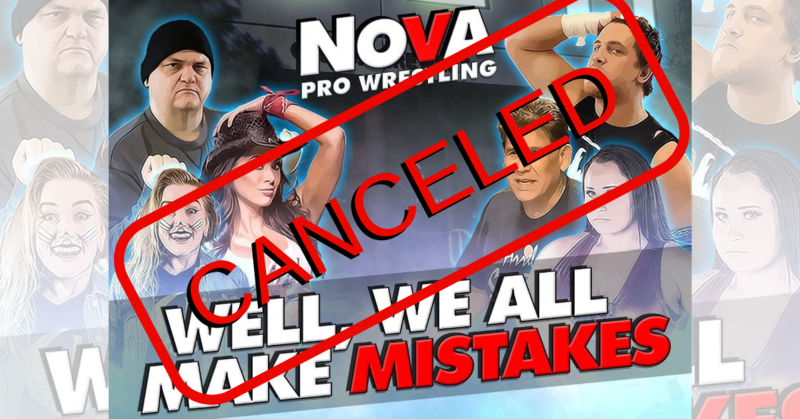 NOVA Pro Wrestling returns to their Loudoun County home, The Old Ox Brewery in Ashburn, VA for “Well, We All Make Mistakes” on Saturday March 30th! Join us for a night of beers and brawling with your favorite NOVA Pro Stars and come early for the pre-game party starting at 5:45 PM. Belltime is 7:00 PM. -Main event: Allie Kat vs. Jordynne Grace!